I-Team: 2 Years After 14-Year-Old Boy's Death, How Many Schools Have Alarms Under Avonte's Law? How Many Schools Have Alarms Under Avonte's Law? Nearly 18,000 door alarms have been installed at New York City schools and there are still 2,300 to go, according to an I-team investigation. The Department of Education was slated to install door alarms at more than 1,400 schools citywide, in light of Avonte’s Law. 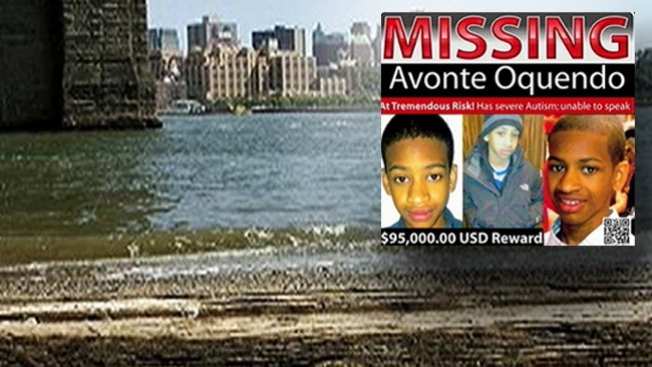 A measure taken by the city council to increase school safety after 14-year-old Avonte Oquendo walked out of his Long Island City school and was found dead three months later. "[I'm] very angry still, very angry but hopeful that a change has come about," Oquendo's mother Vanessa Fontaine said. Fontaine thinks about her son every day, and on the two year anniversary of his disappearance she is heartened that measures are being taken to prevent the same from happening. The I-Team has been tracking school security since Avonte's disappearance. While the Department of Education would only tell News 4, that "we are on track to complete installation on time," the I-team sifted through city records to find the company contracted to install alarms to figure out their progress. So far, Maximum Security Incorporated says out of the 1,400 schools they are contracted to work on, 18,000 alarms have been installed since April of this year, and they only have 2,300 alarms to go. They said they hope to finish the project by the end of October. The DOE says they have also given school staff and school safety agents more training in working with special needs students. "Nobody was disciplined," Fonatine's attorney David Perecman said. "As far as we know there was absolutely nothing that took place and that is not an acceptance of responsibility." Perecman has filed a lawsuit against the city and they are still waiting for a trial date. Meanwhile, he and Fontaine have started a website to increase autism awareness and to promote school safety. “I hope that the system learns from its mistakes,” Fontaine said. “That they learn that children do matter... so that this never happens again."